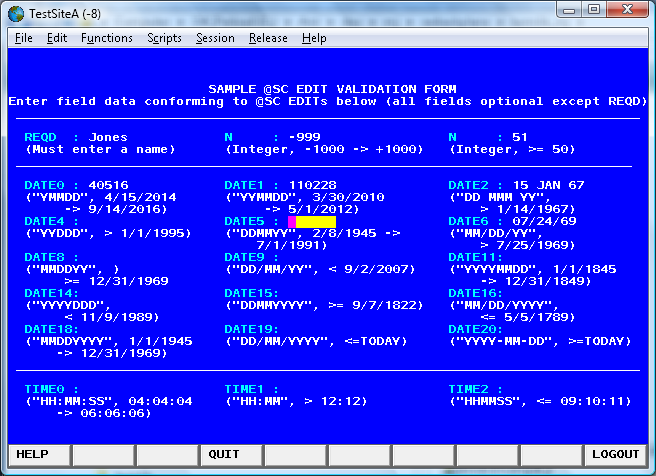 @SC forms appear frequently in interactive MAPPER applications to collect user input and display data. MJ provides AJAX-based emulation of @SC so your user's familiar, "green screen" applications are available on the cloud. Click through the tabs below to see a demo of this feature. @BRK RNM -7 KEY SC,-7,,,<SCTAB> cs . @if FIELD$ eq <LastFieldNum>,(lin2) ;SC,,,,,,-1 KX 'HC' . force xmit? Enter data to test EDIT field validations, similar to @SC. Like @SC, use the arrow, backspace and insert keys to edit and navigate fields. 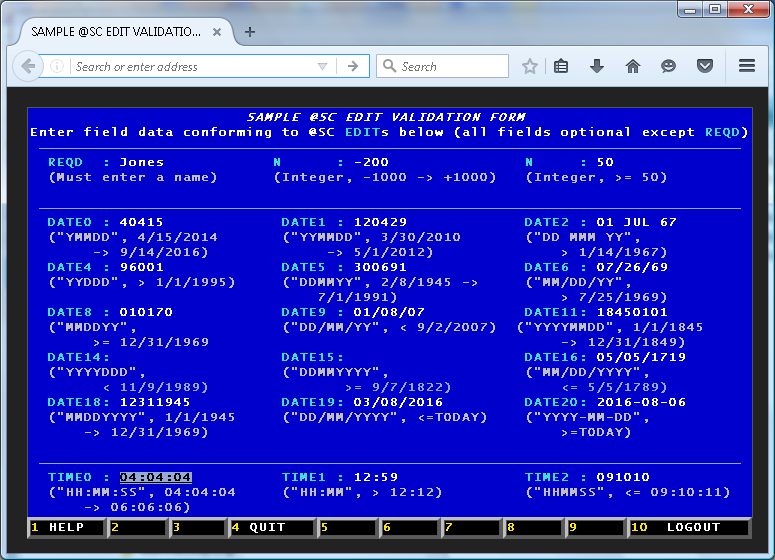 Exit the form by pressing a function key or entering <CR> for XMIT. To launch the form, click the screenshot below.